Kick off your visit on the 22nd (Mon): contemplate in the serene atmosphere at Church of The Most Holy Mother, examine the collection at Sozopol Archeological Museum, then don't miss a visit to Yuzhna krepostna stena i kula, and finally step into the grandiose world of Ravadinovo Castle. Get ready for a full day of sightseeing on the next day: kick back and relax at Perla Beach, then take in the spiritual surroundings of Church of Saints Cyril and Methodius, and then tour the pleasant surroundings at Kavatsite Beach. For maps, traveler tips, reviews, and other tourist information, read our Sozopol trip planner. Use the Route module to find suitable travel options from Birmingham, UK to Sozopol. Due to the time zone difference, you'll lose 2 hours traveling from Birmingham to Sozopol. Traveling from Birmingham in August, expect Sozopol to be somewhat warmer, temps between 34°C and 21°C. Finish your sightseeing early on the 23rd (Tue) to allow enough time to ride a ferry to Nessebar. Between the ruggedly beautiful Balkan Mountains and shores of the Black Sea lies the World Heritage Site, Nessebar. On the 24th (Wed), see some colorful creatures with a scuba or snorkeling tour, pause for some serene contemplation at Church of Christ Pantocrator, then look for gifts at Ji'votnoto and Gallery - TA, then look for gifts at Original Bulgarian Wine Shop, and finally pause for some serene contemplation at St Stephens Church. Here are some ideas for day two: explore the ancient world of The Church of St. John Aliturgetos, examine the collection at The Burgas Archeological Museum, examine the collection at Nessebar Archaeological Museum, then look for gifts at JCraft Jewelry Shop, then admire the landmark architecture of Church of the Assumption, and finally pause for some serene contemplation at Church of the Holy Archangels Michael and Gabriel. 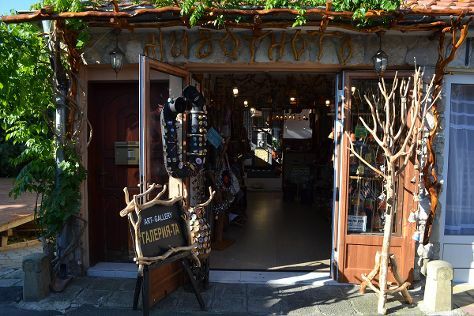 To find traveler tips, photos, maps, and tourist information, read Nessebar vacation builder. Traveling by ferry from Sozopol to Nessebar takes an hour. Alternatively, you can take a bus; or drive. In August, daytime highs in Nessebar are 34°C, while nighttime lows are 21°C. 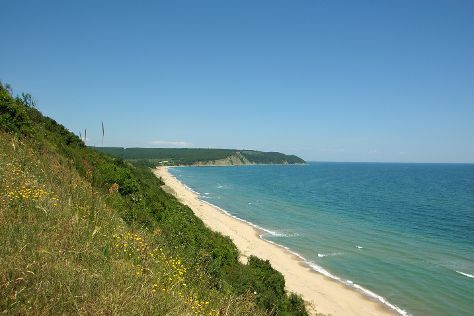 Wrap up your sightseeing on the 25th (Thu) to allow time to drive to Sunny Beach. Start off your visit on the 26th (Fri): contemplate the long history of Nessebar, contemplate the waterfront views at Pomorie Lake, then get out on two wheels at Sunny Beach Karting Track, and finally pause for some serene contemplation at Church of St. Blaise. Keep things going the next day: take in the waterfront at Embankment, see the interesting displays at Museum of Salt, and then kick back and relax at Irakli Beach. To see reviews, other places to visit, photos, and other tourist information, go to the Sunny Beach travel planner. Sunny Beach is just a stone's throw from Nessebar. In August, daily temperatures in Sunny Beach can reach 34°C, while at night they dip to 21°C. Finish up your sightseeing early on the 27th (Sat) so you can travel to Sunny Beach. Kick off your visit on the 28th (Sun): bet on your favorite at Sunny Beach Karting Track, then explore the activities along Pomorie Lake, then take in the waterfront at Embankment, and finally steep yourself in history at Nessebar. Get ready for a full day of sightseeing on the next day: take in the architecture and atmosphere at Church of St. Blaise, then enjoy the sand and surf at Irakli Beach, and then see the interesting displays at Museum of Salt. For reviews, where to stay, ratings, and other tourist information, refer to the Sunny Beach custom trip planner. Finish your sightseeing early on the 29th (Mon) to allow enough time to fly back home.